Uploaded email data: follow up with your SendinBlue email openers and clickers. No need to install anything – all the data is automatically uploaded to SendinBlue Automation. Uploaded contact profile data: use attributes to segment your contacts by country, by age, etc. All your default contact attributes and the ones you have added to SendinBlue can be used in your workflows. You can go even further by using on-site events to customize your communications. You can then start your workflows with a page visit. For example, if a contact has visited a product in the "Shoes" category of your ecommerce website, you can add them to the "Interested in Shoes” list and then send them targeted newsletters or promotions a few days after their page visit. All you have to do is install the main SendinBlue Automation script – the installation only takes a few minutes. Now let’s look at the features and capabilities of SendinBlue Automation. You can start by using preset workflows, where you will be shown how to build the most effective workflows step by step. 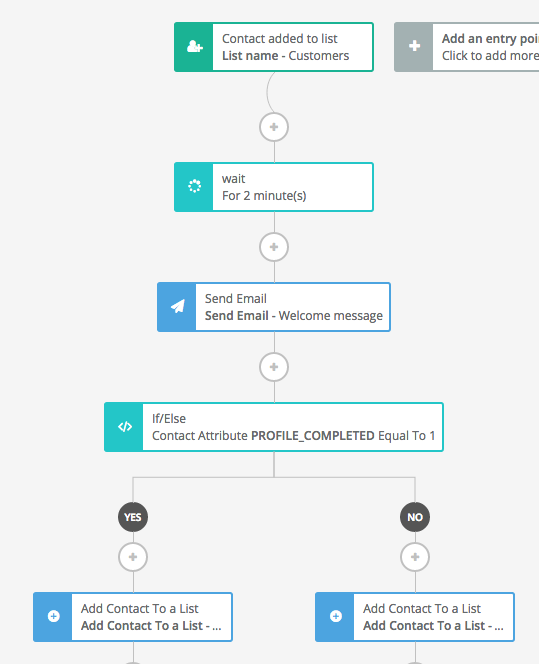 Start with a subscription workflow that sends a welcome message to newly-subscribed contacts, then customize it to suit your needs by adding conditions such as the contact’s age or location. 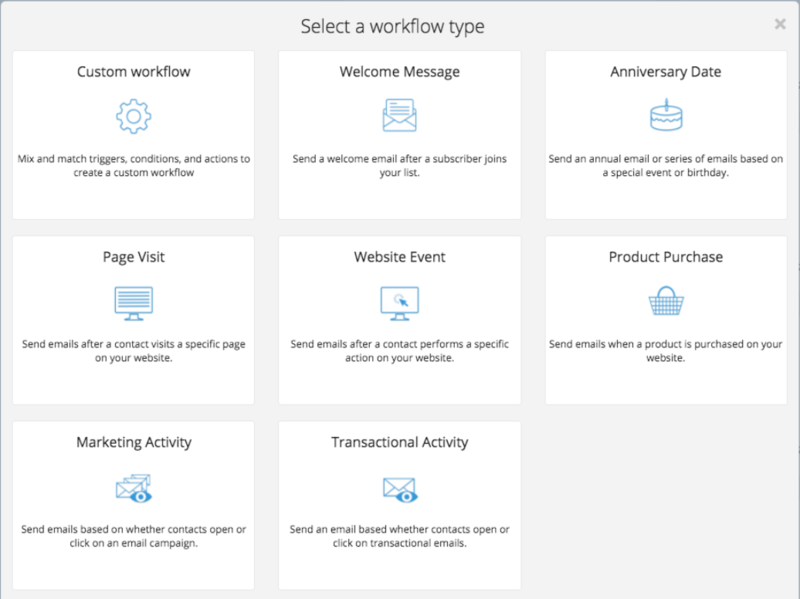 Workflow library: SendinBlue offers flexible workflow templates suitable for any company. You can use them to quickly and effectively build a series of actions. For example, you can send a series of emails following a subscription or purchase, follow up with your contacts after they have opened a newsletter, etc. Testing a workflow: to make sure you have understood how Marketing Automation works, use a test email address to test your first workflow. Because so much useful data is uploaded – email clicks and opens, additions to lists, page visits, etc. – you can easily specify who you want to contact and when.